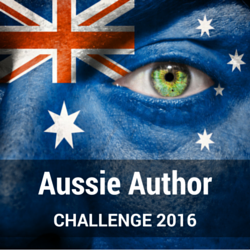 I enjoyed the Aussie Author Challenge 2016 last year and completed the highest level in the challenge. I had to read and review at least 12 titles by Australian authors; at least 4 female and 4 male authors; at least 4 new authors (to me) across a minimum of 3 genres. Have you read any of the books listed above? I'm looking forward to participating again in 2017 and will be signing up soon.